Neuromonics has been studied in over 1,000 patients since 2001. The treatment is FDA cleared and designed specifically to target the audiological, neurological and emotional components that contribute to tinnitus. Treatment parameters are customized based on both the audiological profile and tinnitus disturbance level of the patient. The Neuromonics Oasis™ The gold standard in tinnitus treatment, the Neuromonics Oasisis used as part of a two phase treatment process. The Oasis plays calming, relaxing music that is embedded with a neural stimulus which interacts with the tinnitus perception. The music, customized for each user’s audiological profile, engages the auditory pathways to promote neural plastic changes. Over time, these changes help the brain to filter out the tinnitus perception, reducing both tinnitus disturbance and awareness. The Neuromonics Haven™ Designed for the mild-to-moderate tinnitus sufferer Haven also utilizes precisely engineered music to deliver relief to the tinnitus patient while listening to the device. The Haven uses an individualized stimulus allowing patients to experience immediate relief while listening to relaxing, customized music. The Neuromonics Sanctuary™ Targeting immediate relief for the tinnitus patient, the Sanctuary is designed to provide relief while listening the device. The Sanctuary provides a sense of control by delivering a custom signal designed for maximum interaction with the tinnitus perception. This interaction provides an almost immediate sense of control and relief for the tinnitus patient. 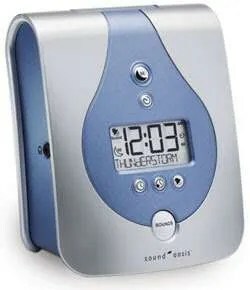 The Sound Oasis Sound Therapy System S-650 with Tinnitus Sound Card is a patented sleep enhancement technology that features clinically proven sounds from world renowned doctors. The Tinnitus Sound Card provides advance sound therapy to help you mask your tinnitus at home or work and provide tinnitus treatment for the symptoms of the condition. The card includes 6 sounds specifically developed by Dr. Jefferey Thompson, one of the leading experts on sound therapy. Dr. Thompsons’ sounds represent the most advanced approach to tinnitus therapy sounds that anyone has ever attempted with fixed pre-recorded sound tracks. Each sound track has multiple high range frequencies built right into the music so it is more palatable to play – during the day or to sleep with at night. Six (6) other sounds provide nature only” sounds for pleasant tinnitus masking therapy and customized versions of white noise targeting specific and general tinnitus frequencies to provide tinnitus relief. These sounds provide treatment for the symptoms of tinnitus and provide relief by masking the ringing sound that many find disturbing. White noise generators were widely used in the past. But with improved hearing technologies, most hearing aids come with in-built tinnitus noise generators to address problems with tinnitus. We do not provide noise generators in our clinic.